Confidential document shredding for NHS, healthcare, medical, GPs, doctors and social care. 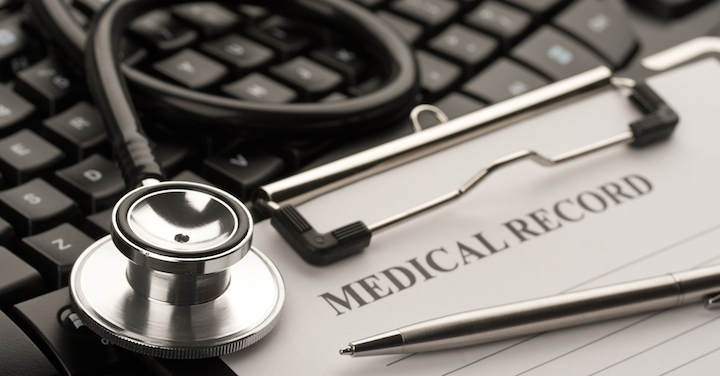 For NHS Trusts, GP practices and other health and social care organisations both public and private sector, the appropriate maintenance of patient and resident confidential records is crucial. This obligation continues even when the medical records are no longer needed to treat or care for the individual. These records come in many forms and are held in any number of different formats, but regardless of this they must all be securely disposed of. In addition to protecting a patient or resident’s confidentiality the appropriate management and disposal of records prevents criminal gangs from using them to create fake identities to obtain prescription drugs. We work with all types of health and social care organisations and medical bodies, including hospitals, local health trusts, clinical commissioning groups (CCGs), doctors’ and GPs’ surgeries, medical centres, private clinics, dental practices, pharmacies, care home providers and domiciliary care organisations. We can help you stay fully compliant with your legal obligations with secure, efficient and cost-effective shredding of all your confidential documents and data-handling waste, either at your own premises, or at one of our state-of-the-art shredding depots. Our experienced staff can attend at your premises to either collect your confidential waste for off-site destruction at one of our depots, or carry out an on-site shred – whatever service works best for you, we can deliver. All our employees are well trained and very experienced and go through rigorous vetting and security checks in line with BS7858, as well as a having a DBS check every three years. All of our staff are uniformed and carry a branded photo identity card. We are able to accommodate smaller ad-hoc shreds consisting of as little as a single bag of paper through to larger sessions as part of an archive clearance, relocation or reorganisation, for example, or we can deliver a regular scheduled collection/on-site shred to help you stay on top of your document and data management needs. Our modern state-of-the-art premises are equipped with 24-hour CCTV, red care alarm systems and robust perimeter security, while our purpose-built trucks all have rigid sealed bodies, comply with EURO 5 or 6 emission standards and are continually tracked via GPS satellite. We also have recording CCTV in all vehicles for total security during transit. We can shred all types of material, not just paper – clothing and uniforms, ID cards, X-rays, photographic prints, data media (such as CCTV tapes and computer disks) and even electronic equipment such as computer hard drives. All of our shredded paper is sent to a UK recycling mill, while other non-recyclable materials are incinerated in an Energy from Waste (EfW) plant to generate electricity for the National Grid. None of the material we shred is sent to landfill. We take our green credentials seriously. We have installed a large 50kW solar array at our main shredding depot that generates a significant proportion of the power we use, and we are working towards every depot operating the same way, making their carbon footprint as small as possible and helping towards your own environmental goals. We are certified under ISO14001 and operate an optional carbon-offsetting scheme (shred a tonne, plant a tree). When shredding is complete, we will provide you with a combined Waste Transfer Note and Certificate of Destruction so you can demonstrate your legal compliance with both Regulation 12 of the England and Wales Waste Regulations 2011 and the Data Protection Act 2018. All our health and social care and medical shredding is carried out in accordance with European Standard BS EN15713.